Whichever way you chose to go, you will get there, but not in the way intended. 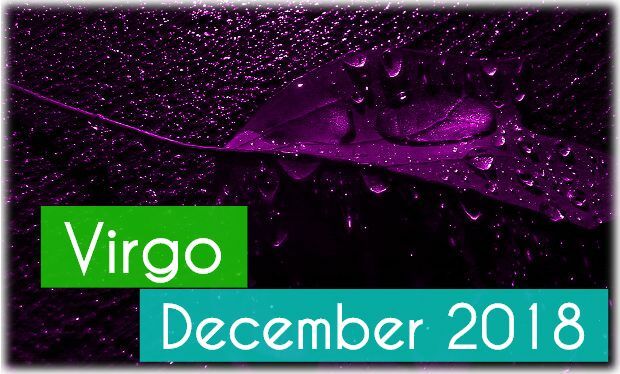 This December, things will not generally plan out as you expected; however, that is not a bad thing as often they can work out even better or at least as good but in a different way. You should not be stressed if you see plans crumbling, as you are just being challenged to be adaptable and to acknowledge that there is more than one way to skin a cat. This December marks the middle of an empowering time in your life, and this month you should feel that sense of power taking hold. You are feeling more vibrant, resolute and in control, and while some parts of your life (especially those involving others close to you) remain confusing and uncertain at times, you have a greater reserve of strength to deal with it. You are in a highly resourceful and dynamic phase of life where changes that for many years seemed impossible now seem achievable. You can make longrange plans now that will lead in directions that you only once could have dreamed of. This really is a month to access where you are and to plan seriously again for next year to take your progress in 2016 to the next level. This December as you look to the New Year is an ideal time to rid yourself of negative habits, especially those involving an obsession with self-image, selfdoubts, self-criticism and over-analysis or fixation on mistakes and imperfections. You need to drop negative mental habits and develop more supportive and positive mental attitudes as you progress. You are in a phase of development (regarding your personality and life direction), and you do not want to drag negative habits into your future. Act on all impulses for change, even if they involve a personal or professional risk. Do not be afraid to put yourself to the test and to pit your wits against the competition. Know your limitations and how to work around them without obsessing about them – everyone has different limitations, and some can be overcome, some can be assets in disguise. There is a deepening of all relationships right now – the power of a strong relationship to transform you and help you tackle your own limitations is also paramount. In new relationships, chemistry is vital, i.e. that immediate and almost indescribable energy to draw you to someone and give them an immediate hold over you. Love relationships this year have had an almost spiritual dimension in that they have had the power to change you and increase your own selfawareness. A new spirit of self-respect or empowerment can change the dynamic of the relationship – it may not happen overnight, but subtly you will have more control in the relationships. Sexually Virgos are very powerful now, and you can use your magnetism and increased sexual confidence in many situations. You should, however, be very clear about romantic signals to colleagues or people you meet via work – you are in an experimental mood and may even want to see how far you can go with the flirting – make sure you can easily get out of what you get into. Relationships will be fulfilling on a deeper level this December, and in many ways, the positive changes in relationships are down to your more open, caring and easygoing attitude this year, which is drawing the best from your partner. Group work can be both helpful and exciting this month, especially if it is to do with using energies, i.e. healing energies if you are involved in reiki or chiropractic, palmistry, etc. You can also learn better and faster in a group via discussions, so if you are a student or doing some coursework, organise to get together with other students so that you can discuss, debate and share ideas as this way of learning can really cement ideas in your head and increase the relevance of studies. Combining with others to create change, increase awareness or promote understanding can be very effective right now and is ideal for those who work in the community, the media or politics. Sports can be a unifying activity, and for any of you involved in the sports world regarding competing, coaching kids, promotion or punditry, you can experience the power of sport to break down boundaries and prejudices. Indeed, sport may be the method by which you in your own life transcend a limitation, i.e. sport may help you meet new people, overcome disability, break out of a bad rut or renew your life in some way. The run-up to Christmas should be both busy, exciting and enjoyable with good relations in the workplace. The stress level this December is not intense, and productivity will be high due to a feel good factor and not too many of the usual glitches one gets at this time of year. The biggest problem this month regarding work is a lack of concentration and the tendency to go off on tangents and get involved in peripheral activities – but hey, why not? Encouragement from a senior or expert can be both helpful and confusing at the same time, and you may have to record what they say and come back to it in the new year to see how you can make it more meaningful and relevant.